It is often best not to discuss your issues with others until you have had a chance to review your situation with an attorney. Be prepared to share any useful information with the lawyer. Information required might include a list of all parties involved along with telephone numbers, addresses and photocopies of documents relating to your dispute. Decades of experience in civil litigation. When negotiation and other means fail, civil litigation may be the only answer to protect your rights and property. Civil litigation issues might include recovery of debt, boundary disputes, construction or service issues, landlord and tenant disputes, human rights, contract issues and many more. 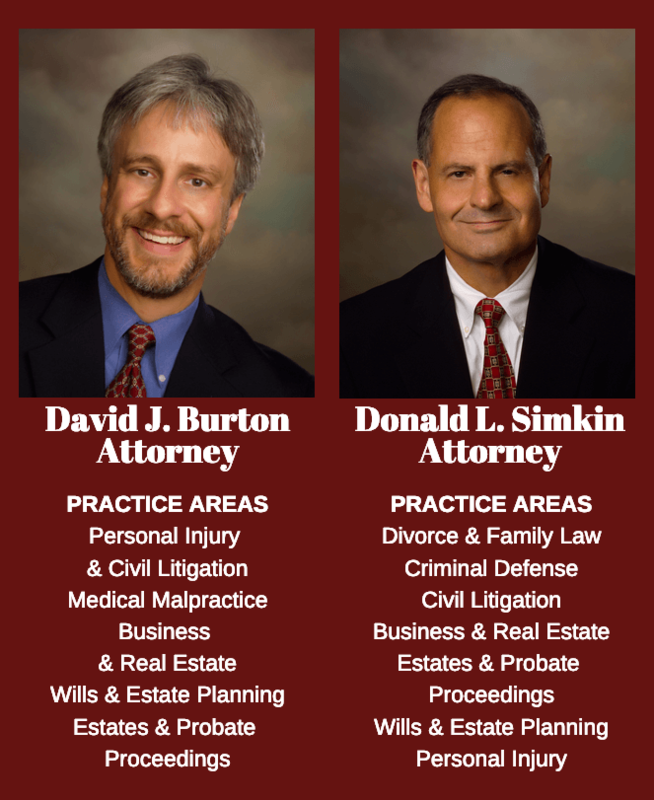 The Burton & Simkin legal team has decades of experience in civil litigation, both in business and personal matters. Our working relationship with both the courts and other attorneys is excellent. We work hard to provide you with the best outcome possible. Is the lawyer experienced in the area of civil law that relates to your troubles? How long has the lawyer been practicing in this area? Does the lawyer have a good relationship with the courts and other lawyers in the area?